Welcome to our Military Families web page. We are committed to supporting active duty and reserve military personnel and their families who are posted in the greater Yuma community. We hope that the following list of sites will be of help. Please click on the image above and register your child. Great news for military families with PCS orders to Yuma! 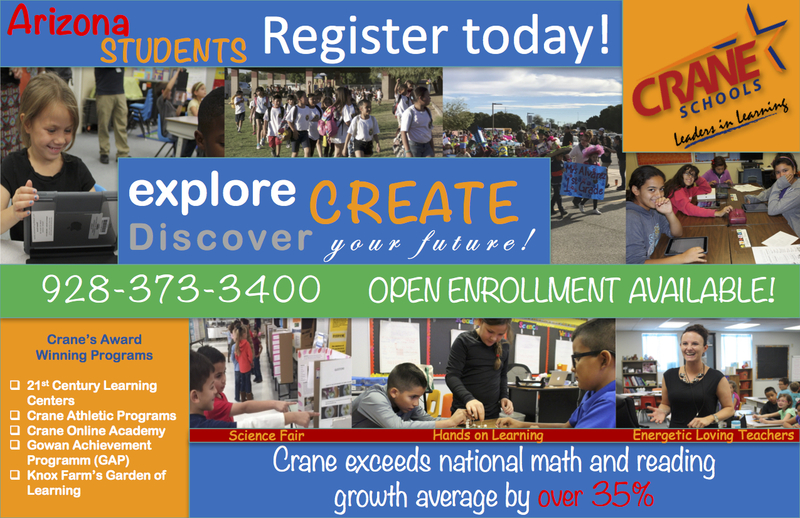 New "Remote Enrollment" policies allow active duty families to enroll their children in Crane School, before arriving in Yuma. Transportation from MCAS is available to and from several Crane schools. We offer many learning opportunities across the district to accommodate your family. Please visit our school websites to learn more. Click on the graphic to download helpful apps from the App Store. Click HERE to go to Sesame Street's website.